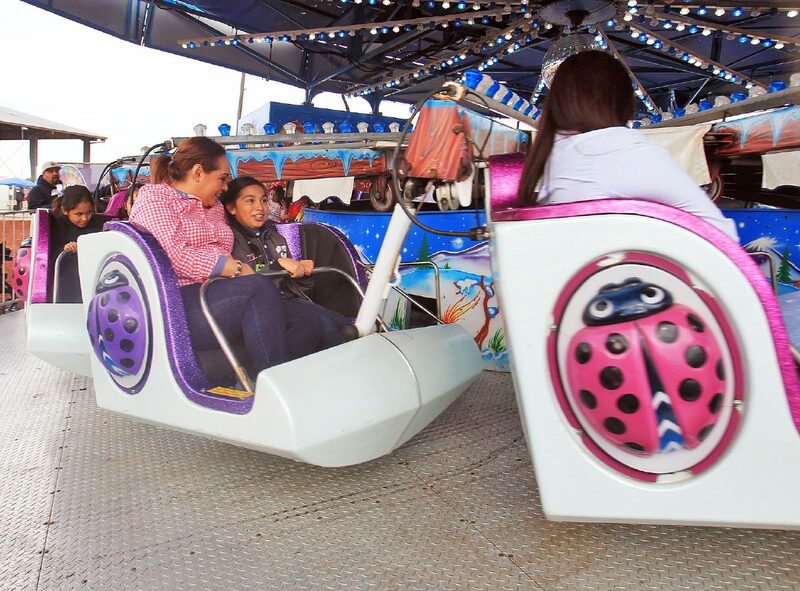 Patrons ride small carnival rides at the Rio Grande Valley Livestock Show Monday, March 12, 2018, in Mercedes. The 2018 Rio Grande Valley Livestock Show experienced record-breaking attendance, at least according to the firm tasked with heading the annual event’s public relations arm. Attendance for the show climbed to 300,000, up from last year’s 250,000, according to Advertir Inc. President Christopher Julian. Julian believes good weather is one of the reasons for the spike. Throughout its 10-day course, the city of Mercedes experienced not one rainy day. During the 2018 livestock show, over 3,000 exhibitors showed animals at the Sale of Champions. The grand champion steer weighed 1,325 pounds and sold for $21,000. In the past two years, the RGVLS has awarded $1.6 million in scholarships to graduating seniors who participated in the livestock show.